Being prepared to spend where it means Earnings – Taxes – Spending are greater than £0. With this in mind I suspect my spending profile will look quite strange when compared to many, but hey we’re all different and that’s what makes the world an interesting place. It gives me a floor of spending at which the family are happy with the lifestyle that we are living. This will help tell me when I’m FI (financial independent), which will be before FIRE’d. It will also help me understand how much overhead my 2.5% wealth withdrawal rate, at the start of FIRE, combined with my £1,000,000, actually provides me with. We are still torn between early retirement in The Mediterranean vs Old Blighty and this will also help us understand our average spending profile when in different countries. My biggest spend is rent at 57% of total spending or £1,105 (an annualised £13,260). That’s what living in one of the most expensive cities in the world does to you. We spend it as it enables us to earn a lot more and hence save a lot more than we could otherwise. The minimum standard the family have settled on is a small new build flat in an ‘up and coming area’. This is one cost that will reduce greatly in early retirement. For example if we stay in the UK our current thinking is to move from the South East, get ourselves a parcel of land (a third of an acre or so) and build ourselves a modest energy efficient home. Work so far suggests this could cost about £300,000. Not owning a home I’m no expert on how much one will cost to maintain over the long term and so for now I’m using the 1% rule of thumb which is that 1% of the purchase price should be set aside annually for ongoing maintenance. I’d be interested if readers think this is to bullish or bearish... That would reduce my annual £13,260 to £3,000. 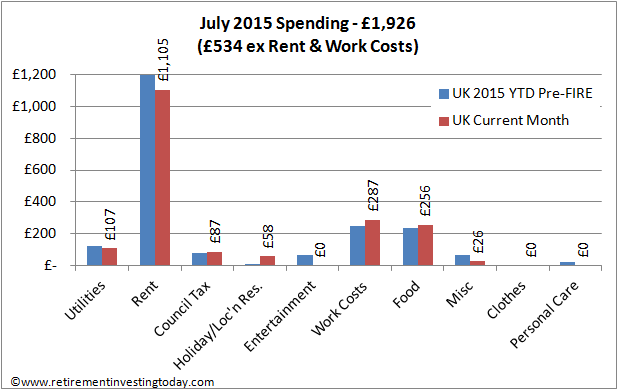 My second highest spend is Work Costs at £287 (an annualised £3,444). I’m now fortunate to be provided a vehicle for my work but I do have to fuel it myself for my long commute. My commute means my better half has insignificant work costs helping that savings number. It also includes work clothing and the odd bought lunch (an area where I freely admit I could save more by taking a packed lunch). In early retirement I’ll have to buy my own car but I’ll lose the long commute, work clothes and bought lunches. Again I’m not an expert but I think by the time I buy a small modest second hand reliable car that will suitable for keeping for 10 years or so, fuel it including some continental trips, insure it, depreciate it as we’ll likely be going through a few over our 40 or so years of retirement and add some breakdown cover I’ll be spending around £2,500 per year. Still a reduction of £944 or so. Food is my third highest spend at £256 (an annualised £3,072). My better half has some allergies and intolerances meaning we now on the whole eat very healthily which includes a lot of organic and ‘Free from’ products although I do lapse occasionally. In early retirement I don’t see this changing a lot. Following the Pareto Principle I’ll stop the analysis there although I personally do watch every penny as I'm a believer that the Latte Factor matters. So I'm currently spending an annualised £24,816. If I subtract the rent and add the home 1% rule I’m at £14,556. If I subtract the work costs and add in a modest car I’m at £13,612. I then need to add £733 worth of annual Class 3 National Insurance contributions as that’s my long term FIRE Insurance Policy which takes my annualised spending to £14,345 or £1,195 per month. I believe between Tax-free Personal Allowances (earnings and the new dividend), my NS&I Index Linked Savings Certificates and my NISA my tax rate should be very close to £0 if I stay in the UK so I won’t add any on for that. To fund that modest but enjoyable life I’ll therefore need £14,345 / 2.5% = £570k or so. Add on a £300,000 home, £5,000 stamp duty (just in case we buy and don’t build or buy at some point later) and £10,000 for the initial car results in a wealth requirement of £888k. That leaves me with £112k from my £1 million just in case we choose to ramp our lifestyle spending at some point in the future. Care to share your spending? 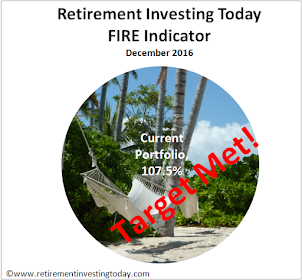 If you are please do detail if you are pre-retirement or retired? Thank you RIT for sharing this breakdown - always fascinating to compare the cost of living and what is possible in order to live a frugal but not skinflint life. What is striking is what a high proportion of our expenses in the UK go on accommodation costs, especially in Southern England. It annoys me when the government trumpets that inflation is zero at a time when house prices and rents - the largest part of most younger people's budgets - are rising fast. If you can eliminate rent/mortgage costs that makes a massive difference to annual expenditure. One small compensation in London is that council tax is very low - if you lived in a commuter town in the shires you'd probably pay 50% more than that for a very modest 3 bed home. Hi Faustus, nice to hear from you, it's been a while. I agree with you on the accommodation costs. It's one of the reasons I'm still seriously considering leaving these fair shores. If you're not trying to maximise earnings there really are some very beautiful parts in Southern Europe with much lower housing costs. That said get away from the South East and the UK also has some nice parts which while not as low cost as Europe are still a lot lower cost than the crazy South East. Interesting that if we net off our accommodation costs we're within a £100 of each other. Given the £440 difference between our rents I'm guessing your not London but somewhere else in the expensive South East. Bills (Utilities, phone, broadband, Insurance) - £270 per month. Leaving £750 per month as savings or investments. I do not see any way to increase my ability to save or invest without reducing quality of life for my family. Instead I accept that early retirement is not possible, but like you I also believe the state pension will not be available by the time I hit the retirement age in 40 years time. 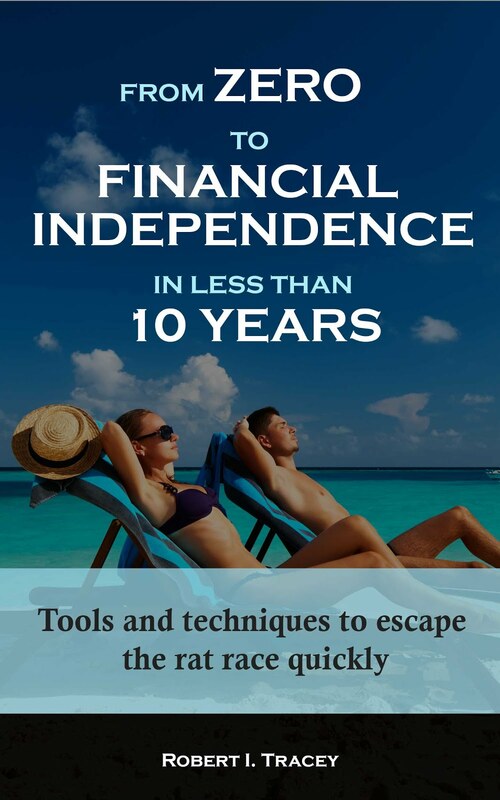 I am saving not to retire early, but to ensure that I can retire at all! Thanks for sharing. Given the comment "by the time I hit the retirement age in 40 years time" I'm guessing you're 28 or so. Firstly, savings of £9,000 per annum at 28 demonstrates that you definitely don't have the 'ramp my standard of living to match my earnings' mentality of the many. That gives you a huge jump start and sets you well on your way to FIRE IMHO. Secondly, given Savings are Earnings - Taxes - Spending is there any way you can focus on increasing earnings to give you the opportunity to FIRE? Extra training, working harder, being more flexible, new job, side hustles... As an example I've just looked back at my taxable earnings from when I was 28 and comparing that to last years tax return I've increased taxable earnings by a factor of 7 after inflation. It's made a huge difference to me - as I've mentioned many times previously Savings over my FIRE journey thus far have out stripped investment returns. You do spend more on utilities and also 'Entertainment' (hobbies, pets, family events, discretionary) than both Faustus (above) and myself so that might be also an option as that's fully in your control where the Earnings aren't necessarily. Thanks for the feedback it is encouraging. You are correct on the age. My earnings could increase if promotion at work is secured. That could be 5 years away but is a definite possibility after that time frame. I am the sole earner at the moment due to the age of our children but there is future potential for household earnings to increase going forward (my wife has a degree in physiotherapy, I am no where near as educated). I guess I should be less glass half empty. Regarding spending I am not willing to drop it further as it would mean significant quality of life reductions to our already conservative life (in comparison to those around us). I feel that sacrificing quality of life now for the possibility of a better one later too big of a gamble. We are only human after all (there are only two guarantees in life...) and I don't want to look back and wish I had done more with my family when I was fit, young and when we were all still together if you know what I mean. The balance must be right or retirement will be comfortable but full of regret. Bills (Mortgage, Utilities, phone, broadband, Insurance, Council Tax) - £615 per month. Worth noting we have a really cheap mortgage and I barely drive. Discretionary spending is everything else (my bike/motorbike repairs & holidays make up most of it, eating out, clothes etc aren't much at all). By being pretty frugal elsewhere we managed to go on a couple of nice holidays last year all within the above. But could definitely cut back on spending here! Family of two – husband and wife. Both mid forties. Figures per annum. I live in south east England. House owned outright. Car (8 y/o) 5000 miles per year £2200 incl. tax, fuel, service, insurance and depreciation. We continue to save and are currently spending capital to improve the house beyond routine maintenance. When you are older you may find as we do that you need to save and plan for the contingencies of future help in house or garden then future care. Very interesting. Do you have a blog? Would like to learn about your experience.. I didn't focus that much on the spending part of the equation, I focused much more on the other two parts, earnings and taxes, increase earnings as much as possible and reducing taxes, as an IT guy I finished contracting in a tax free country, my expenses are around 5-6K GBP per month as I think that I won't be young forever and now it is the time to enjoy, however I still save more than half of my salary. The focus here was not on saving, more on looking how to get a better contracting rate each time and year by year and how to pay less taxes. I don't even dare to publish my numbers in this competition of who-has-the-most-frugal-living. But I would say I am able to strike the balance between enjoyable living now and accumulation of savings for retirement. Total expenses per year about 30,000. I'd guess that 1% p.a. for house maintenance would be low. It's hard to be sure since (for us, anyway) it comes in fits and starts, apart from the need of someone else to do the heavy digging and the like. There's also the cost of modifying the house to suit increasing frailty. As for cars, the hope that a cheap car will be cheaply reliable for ten years might prove optimistic, though who knows? We've just decided to scrap our 20 year-old car and will probably flash out on a 10 year-old replacement. God knows if that is wise. By the time we get adequate leg room, head room, shoulder room, bum room, and ease of access, our choice tends to be a bit limited. Once his knees are wonky a tallish chap can need a lot of leg room. The price of too much rugby, football, hill-walking and cycling perhaps. The cycling particularly, I suspect. Here's a chap who writes in a grown-up manner. I've only just recently started tracking every penny I spend (we used to be quite careful, but now I really want to hone in on it). Couple, this is my expenses only, 40, and not yet FIRE. PCM. Everything else left over is going towards savings - we dont actually follow the 1% rule for maintenance, but drip feed 200 a month into stock to build up. In terms of build - we moved into a new build townhouse, and our bills for gas and electricity are 70 GBP per month - slightly less than my old 2 bed flat! How many off you are there, 3? 4? - What was the monthly income to compare and contrast with the expenes? At first glance that looks like an extremely tight ship you are sailing - you are without doubt very disciplined. For housing maintenance costs, you should distinguish between the land cost and the rebuild cost, and probably apply a higher %age to the latter. Its hugely variable depending on where the property is in its life, new build to Victorian, and when last the roof/re-wiring etc were done. I've been looking for years for good estimates of annual maintenance costs, and not found any. Golden rule is to make sure your house is tip-top before you become elderly and infirm, so you can coast the last 20 years. My parents disliked tradesmen and Dad did his own maintenance, but things started to slip, and then it became too late because the upheaval was much more of an issue than the expense. Only the young can contemplate living in a hotel while re-wiring is done. Sound advice, anon. Unfortunately it's easy during a busy career to let house maintenance slip a bit and then find it expensive later. I'm glad that we had a re-wiring done before I retired. But it was largely luck. Long term investing is very important for becoming wealthy. The obvious problem is having the disposable income to do it especially when you are young. Monthly savings is mentally probably the easiest to do.The majority of wealthy people got there by consistently putting money away over years and starting when they were young. retirementtable.com has some charts showing how much you can accumulate in savings if you start when you are young and stay with it. Do you really mean 1% of the purchase price? In that case, inflation will be diminishing this over the decades just as the need for maintenance is rising. Better options would be (a) 1% of purchase price, uprated each year by RPI, or (b) 1% of the notional value, that value to be re-assessed each year. I don't have any professional knowledge that would help here but have thought about this for a few years and have quizzed a few people who do have relevant expertise. As result my conclusion is: 1% using either of the calculations I suggested above is probably enough if your property is fairly standard (no unusual materials, design features etc), if it's not listed or otherwise has no conservation complications, and if you're not the kind of person who is endlessly finding things to tinker about with/fix/refurbish/upgrade/redecorate etc. Insofar as any of these apply, add a bit more on to 1%. If they all apply, then 2% p.a. (of either purchase price uprated annually by inflation or of notional current value) is probably more like it. If your property is Grade A listed or really extremely unusual, seek professional guidance! Hi, my partner and I live in London.